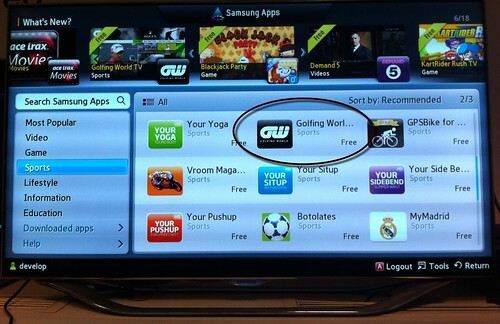 We’ve managed to get our new Golfing World application into the Samsung TV App Store. I wrote a large portion of both the front end and the back end for this, so I’m quite pleased that we’ve finally got it launched. Now you all need to develop a love of golf and buy a Samsung TV made in the last couple of years and you can stream lots of golfing videos over the Internet!